KAOLIN GEORGIA 6 TILE is a kaolin made for use in the tile pressing industry, it has good plasticity, perhaps because it has bentonite added . . . or so the rumor goes. 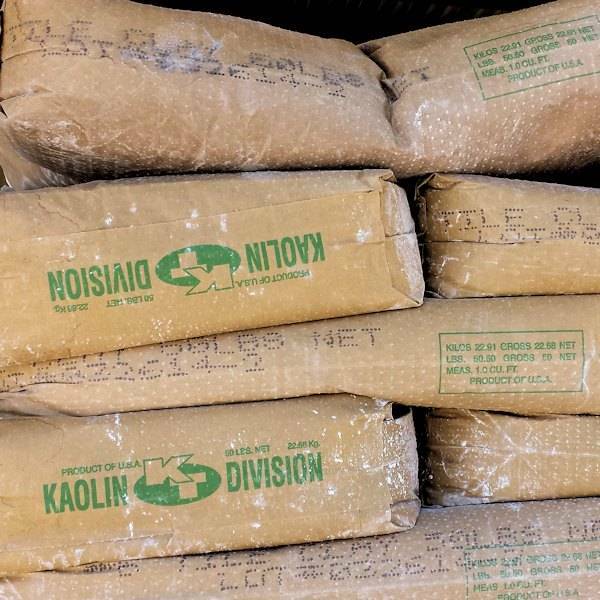 This is the most often used kaolin for clays slip and glazes.